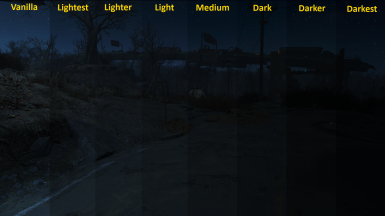 A comprehensive bugfixing mod for Fallout 4. 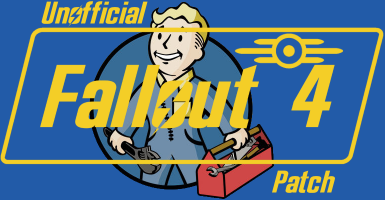 The goal of the Unofficial Fallout 4 Patch (aka UFO4P) is to eventually fix every bug with Fallout 4 not officially resolved by the developers to the limits of the Creation Kit and community-developed tools, in one easy-to-install package. 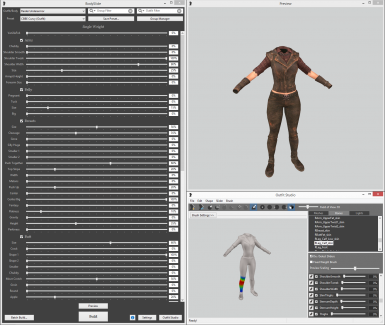 An easy to use tool for customizing bodies and outfits, creating new bodies and outfits, and converting outfits between body types. 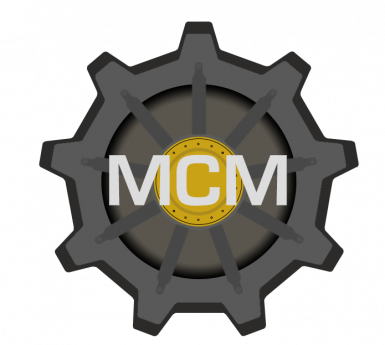 The Mod Configuration Menu is a settings page for mods! 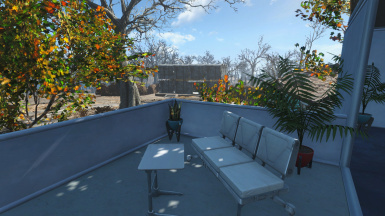 It provides a central location for mod configuration, accessible via the Pause menu. This mod does so much awesome stuff that the description doesn't come anywhere close to fitting here. 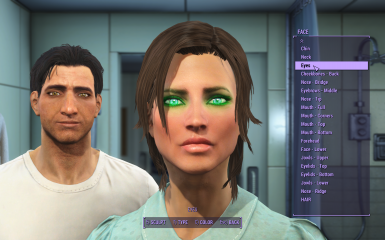 Adds engine modifications to improve character creation. 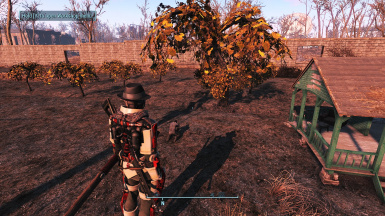 Settlers should build their own damn houses (and farms, and shops, and...), you've got a Commonwealth to explore! Makes the game display the full lines of what your character is going to say in conversation, instead of just a paraphrase. It also revamps the interface so that the game will now display dialogue options in a list and use the number keys/face buttons for input, depending on your control scheme. Supports both keyboard and gamepad. 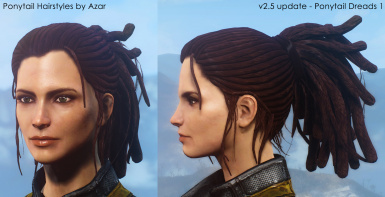 New standalone hairstyles for your characters. 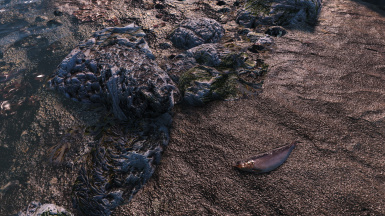 Place/build objects in settlements everywhere you want, change objects whatever you like. No more RED! 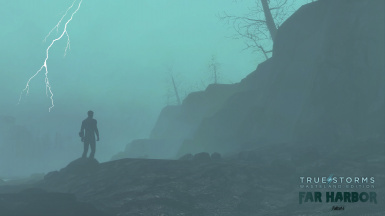 The #5 highest ranked Skyrim mod of 2015 with over 10,000 endorsements comes to Fallout 4 with even more features than ever! 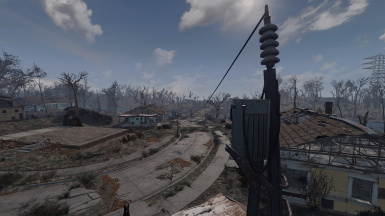 True Storms: Wasteland Edition is a complete overhaul to the storm systems in Fallout 4. 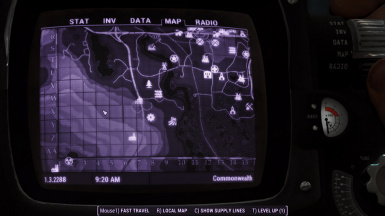 Heavy rains, dust storms, radiation rains. New unique weathers, sound effects, particle effects, textures and more. 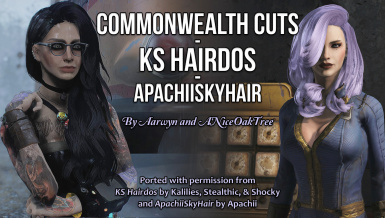 Collection of conversions from Skyrim's KS Hairdos and ApachiiSkyHair. 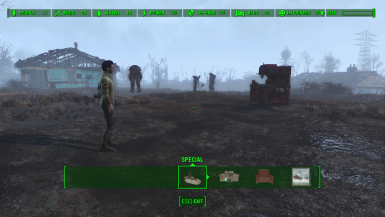 Ever feel like scrapping everything in your settlement? 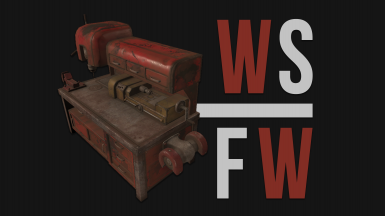 With this mod, you can scrap houses, grasses, trash and debris, roads, sidewalks, and much more! 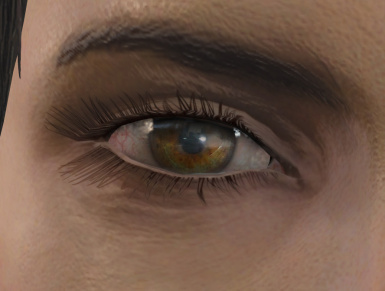 Change eyes textures for new high resolution ones. Will work for both gender. New textures will be added so keep in touch! Re-release of DEF_HUD and DEF_INV by Neanka with a combined installer package. 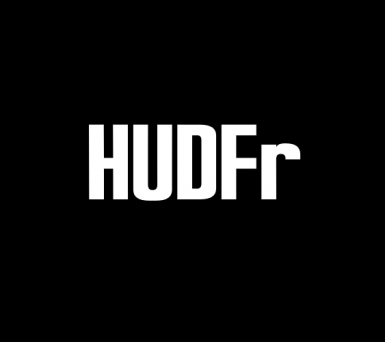 DEF_HUD is a fully customizable HUD. 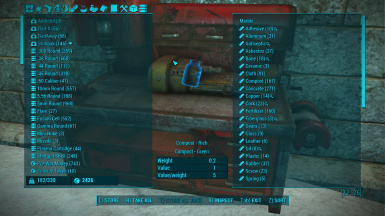 DEF_INV provide many improvements to Pipboy, container, and barter inventory screens. A much better high contrast world map with roads, topography, and waterline all clearly visible. Optional number grid and regions. Adds over 1000 new craftable objects, encompassing craftable versions of a great deal of the base game. Also includes new build sets, working planters and much much more! 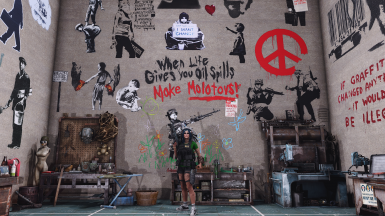 A mod that adds hundreds of new options to customize your character such as face paint, tattoos, scars, makeup, brows, haircolors, etc~! HUDFramework is a UI framework that makes it possible for mods to add new UI elements to the HUD. 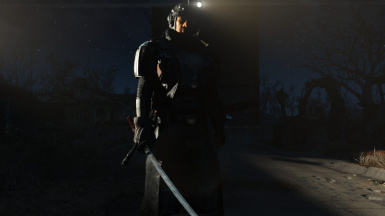 I hate how your character is always pointing his gun foward 100% of the time in First Person, it's not immersive. 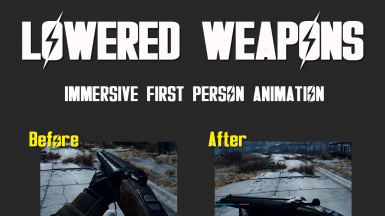 Now your character will have their guns downed when not firing it. 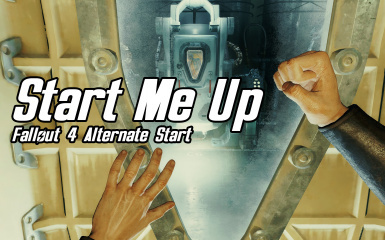 Provides Alternate start, Quick start, Normal start options. 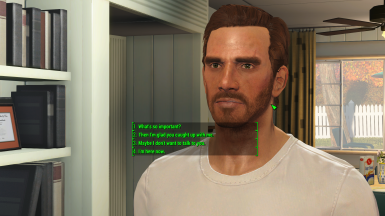 When you use one of the alternate start paths, there are over 800 dialogue edits, with voice and lip sync, so your character is no longer the mother/father of Shaun (or even a Vault Dweller, if you want). Great for role players. 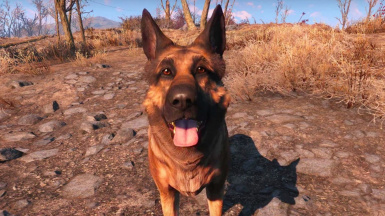 This mod allows you to have Dogmeat and a standard companion at the same time using in game functionality (not hacks or console commands). 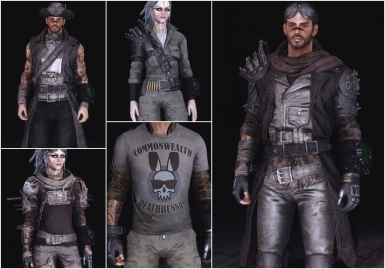 Mod ads 50 new lore-friendly armours, 20 accessories, tons of moddable colours. 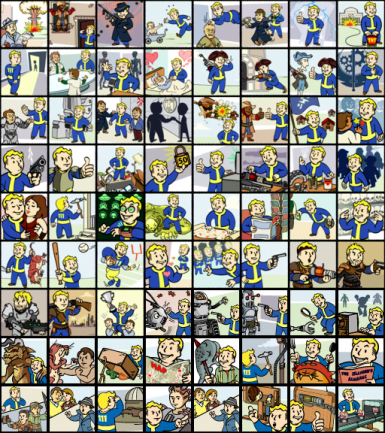 Institute, Settler, Wastelander, Raider, Vault suit. Both sexes. Vanilla and CBBE body, with BodySlide compatibility. Lets you make connections from afar. 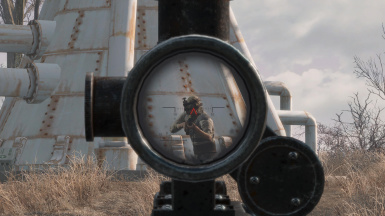 Adds see-through (so no scope overlay) Combat Scopes to various weapons. 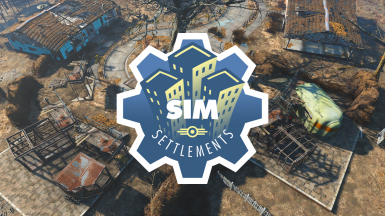 Framework to open up the settlement system to editing by the community.For Players: New controls and faster, more stable workshop scripts.For Modders: Add new resource types, override settings, and generally change the way settlements work dynamically. 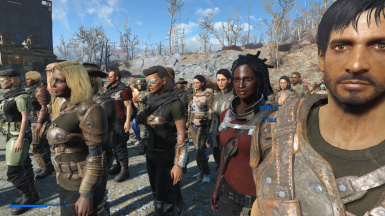 Better Settlers is a lore friendly mod that adds more than 240 new settlers to the vanilla settler selections. You can choose to stop there, or further OPTIONS to customize them to spawn with more lore-friendly changes to their equipment, gender ratio, stats, or mortality. DLC and no-DLC versions and many other options available.